The English philosopher Jeremy Bentham first defined the term "mesology," and its related "social mesology," as being the discipline concerned with the effects upon human beings, as individuals or in society, of meteorological conditions, food and drink, urbanization, sanitation, occupation, domesticity, religion, institutions, laws, and psychological factors. In Radiation and Health, originally published in 1964, William Valentine Mayneord takes this argument one step further by adding "ionizing radiation" to this formidable catalogue. While many people argue that health is a definable and measurable quantity, characteristically expressing it in a negative way via mortality or morbidity statistics, Mayneord argues that the patterns of life throughout the world vary so greatly that no standard can be set for all people, or even for the same people at different times. Moreover, health status has to be looked at from a community, as well as from a personal, point of view, and social well-being may be regarded as a predisposing condition of individual health. In the search for quantitative criteria, many "health indicators" have been classified into three groups: those associated with the health status of persons or populations in a given area, those related to physical environmental conditions having a more or less direct bearing on the health status of the population in an area, and those concerned with health-service activities directed to improvement of health conditions. 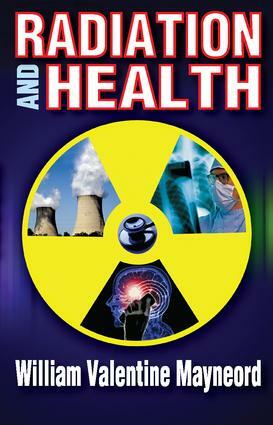 While radiation has many negative effects, it also has positive ones, including curing diseases. Mayneord acknowledges the dangers of radiation, but believes they are manageable if handled responsibly. This classic volume, long unavailable, is much cited in contemporary research on the subject.